Who is a great story-teller Suppose there is a man who cannot speak totally dumb. But sometimes in life, people who cannot speak teach us so many things which we dont learn anywhere else. Sometimes even blind persons make us see those things what we dont see in our whole life. 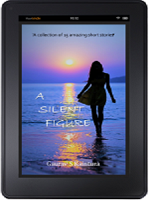 A Silent Figure is also such a wonderful story piece. A collection of 15 simple yet unique stories that will drench you in the rain of love and emotions. It regenerates the lost humanity and faith in the readers through heart-melting episodes. And it will take you to your youthful time, where you will find yourself as a beautiful deer running over and there to quench the thirst of first immature love. So, enjoy this new journey of love, faith, hope, kindness and joy. 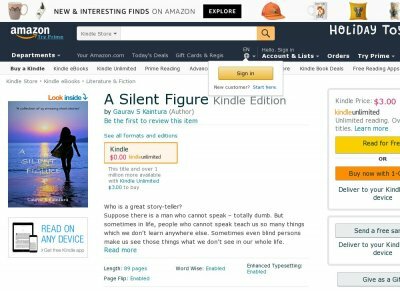 Welcome to A Silent Figure Book Review Pratik Das - The anthologies, written are an obvious reflection of the pure innocent experiences and the outlook, that the author has had with this world, the environment and everything around him. From The Beginning, We see how the writers innocent naive infatuation with non-descript strangers voyagers has shaped and inspired his inner Tagore. To write about his experiences from a perspective of a third person. This childlike naive innocence in his writing, is what won me over in the first place as an voracious reader.